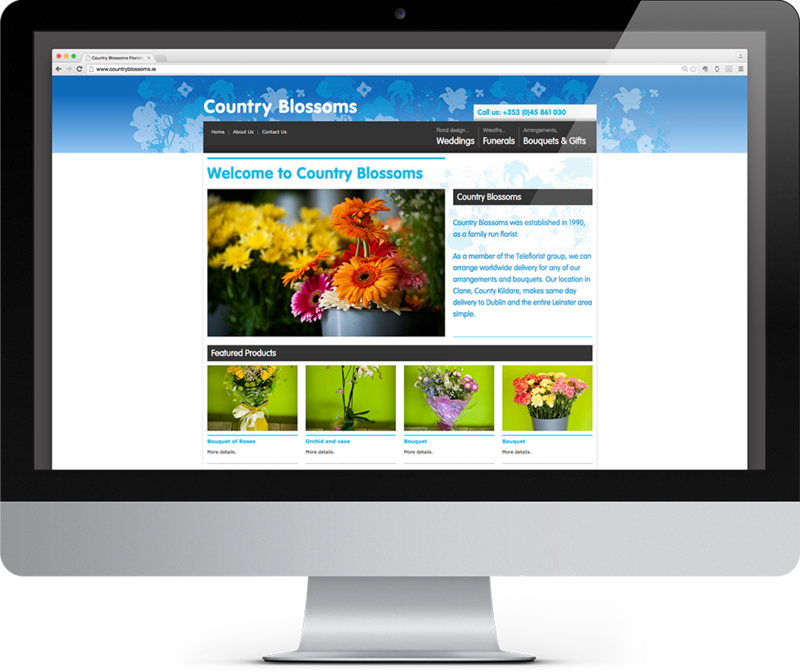 Country Blossoms is a small florists based in Kildare. During my time with Red&Grey Design, we produced the original identity including stationery and greeting cards. 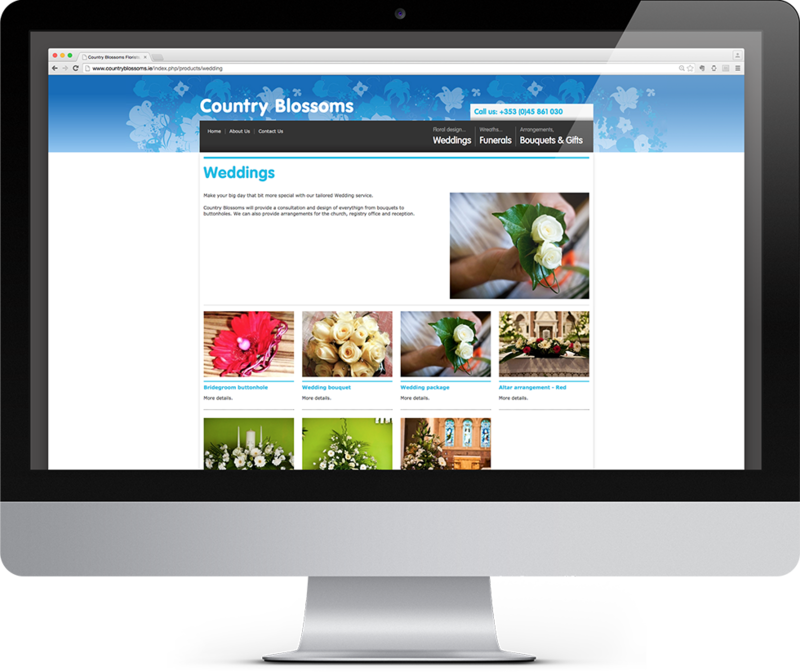 The website was later redeveloped by myself to reflect this identity, and to allow the Country Blossoms to add and edit products. The identity is based around a colourful garden but using non-traditional colours such as electric blue, to steer away from typical clichéd flower-shop identities. 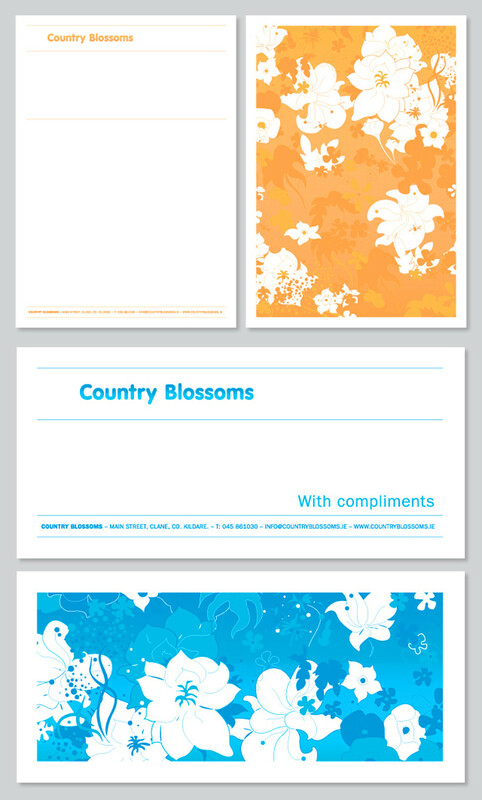 This concept is used on the stationery and cards, and carried through to the site.